How To Change Ringtone in Windows 10 Mobile: Operating systems like Android and iOS have been leading the mobile phone market over the past decade. However, with the latest Windows for mobile update, Microsoft has tried to make its comeback in the mobile industry. The new version is called the Windows 10 Mobile and comes with a completely revamped user interface as compared to its predecessor. Microsoft has added various new features to the Windows 10 making it look similar to the computer version of the operating system. Windows 10 can be downloaded on any Windows 8 or Windows 8.1 mobile phone for free provided that the phone contains a minimum of 512 MB of RAM. Although this Windows version for mobile launched by Microsoft is possibly their best version launched ever, some users find it rather confusing. Simple tasks like how to change ringtone in Windows 10 mobile or finding normal menu items seem difficult to get hold off to users who are using Windows 10 for the first time. Changing mobile ringtones seems very difficult while using Windows 10 for the first time. However, there are simple fixes to this problem which can be performed by anyone. then tap on the option “Ringtones & Sounds”. After tapping, you’ll see the all original ringtones in your smartphone. Tap on any of the listed Ringtones and you’re done! You’ve successfully changed the Ringtone of your Windows 10 Mobile. We have come up with a list of how to change ringtone in Windows 10 mobile to guide you through the fixes. So, here it goes. Changing Windows 10 mobile ringtone via Settings is the most basic fix provided by Microsoft to this problem. This fix only works when the user wants to set the ringtone to one of the stock ringtones provided with the mobile initially. Here is how you perform the fix. 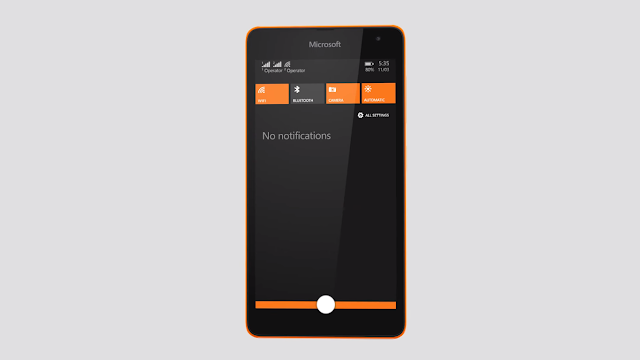 Step 1: Locate and go to the dedicated Settings menu of your Windows 10 mobile phone. 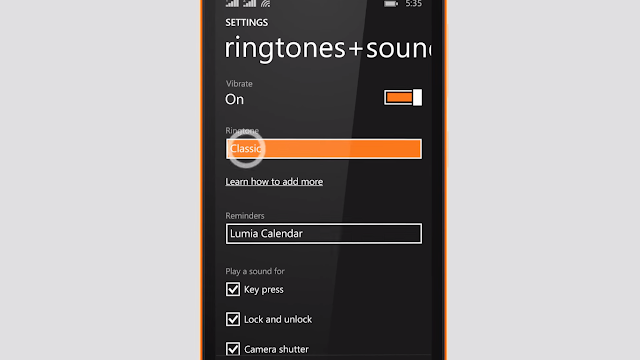 Step 2: Now, go to the “ringtones+sounds” menu provided in the Personalization section of the Settings menu. Step 3: In the Sounds menu, click on the Ringer or Ringtone option provided. 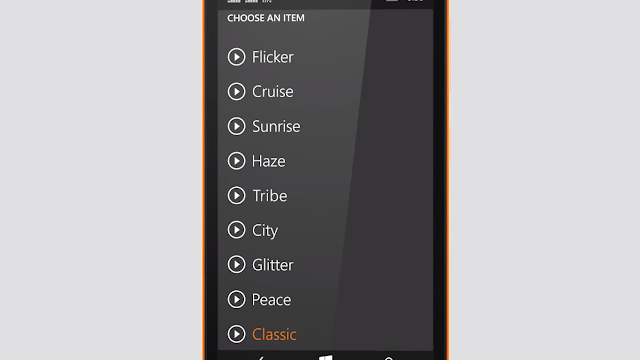 Step 4: Now, you will see an option saying “Windows Mobile default ringtone.” Click on it. Step 5: The list of preloaded ringtones should now appear on your screen. Pick any one of them and use it as your default ringtone for user calls. Although the stock method to change Windows 10 mobile ringtone is pretty good, the lack of stock ringtone options make the users want to change the ringtone to something on their playlist or their computer. A Windows PC can be used in this situation. Here is how you do it. 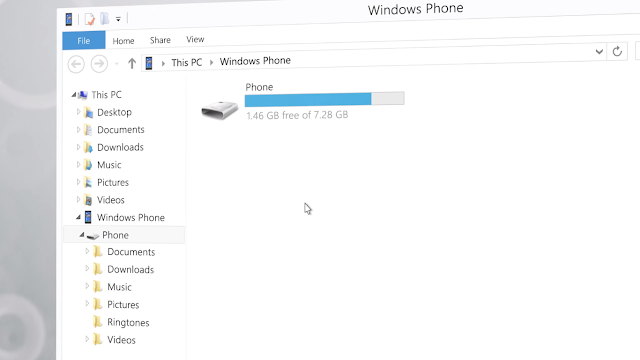 Step 1: Connect your Windows 10 mobile to your personal computer and let it install all the required drivers to run. Step 2: Once the drivers are installed, open My Computer on your PC and go to the mobile phone’s directory folder. Step 3: Locate and click on the Ringtones folder on mobile storage. Step 4: Now, copy and paste your desired music file to the folder. Once the music file is uploaded to the Ringtones folder, you will now be able to change the ringtone to that music file via the stock method provided the music file is in the .MP3 format. 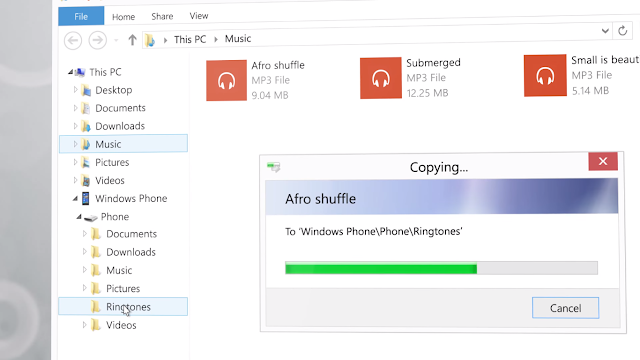 This method is for anyone who is unable to access a computer or simply does not like the hassle involved in connecting the phone, copying and pasting the music file each time. This method involves downloading an app from the Windows App Store to your Windows 10 mobile which will allow you to change the mobile ringtone of your phone as per your liking. Here is how you do it. Step 1: Open the Windows App Store on your Windows 10 mobile phone. Step 2: Enter search “Ringtone Maker App” on the dedicated search bar. Step 3: Now, download and install the Ringtone Maker App from the search results. Step 4: This app will let you choose any file from your mobile phone folders to set as your default ringtone. So, choose the file you want to set as your ringtone and save the changes made. Your ringtone should now be changed. Along with the release of Windows 10, Microsoft has also made a companion application for Windows mobile phones for users to connect their Windows mobile directly to their personal computers and share the files from the storage drives. To download and use this app to change the default ringtone, the following steps are followed. 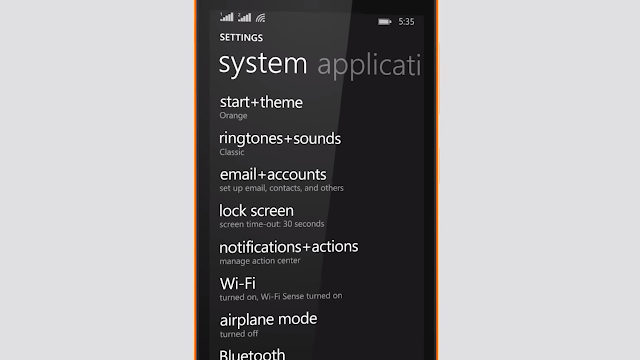 Step 2: Enter search “Windows Phone app”. Step 3: Download and install the Windows Phone App on your mobile phone. Step 4: Once installed, run the app and calibrate your Windows 10 mobile phone with your Windows personal computer. Step 5: Now, once the 2 devices are connected, the app will let you exchange files between the 2 devices. Get the desired music file on your mobile phone and set it as your default ringtone. Note: The Windows Phone App sometimes comes preinstalled with Windows 10 mobile phones and can also be downloaded from the official website of Microsoft. This is the simplest fixes of all the ones mentioned above. Here, the user can download any music file online on their Windows 10 mobile phone and set it as their default ringtone. To perform this method, the user has to download the UC Browser on their Windows 10 mobile phone via the Windows App Store. Once UC Browser is installed on the mobile phone, go to Google, search for the MP3 file of the ringtone you are wishing to set as your default. From the search results find an appropriate website offering the download link of the .MP3 file. Now, while setting up the download, choose the “Ringtones” folder as the download directory of the MP3 file. Download the file on your mobile phone through UC browser. 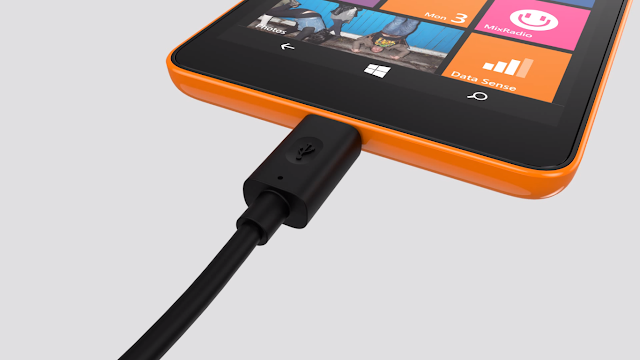 Now, the Windows 10 mobile would let you set up the downloaded .MP3 file as your mobile ringtone. Everyone loves to have a unique ringtone on their mobile phone. The same goes for Windows 10 mobile users as well. However, Microsoft has not made choosing ringtones an easy process on Windows 10 mobile phones. Even if the users somehow get over the hassle of finding the ringtones menu to set up their default ringtone, the preinstalled ringtones provided by Microsoft are very low in amount. Bundled with the fact that the users cannot choose their own ringtone without downloading secondary apps or connecting their Windows 10 mobile phones to their computers makes things even worse. However, our list of how to change ringtone in Windows 10 mobile should properly guide people out of this problem. The above list comprises of a multiple amount of fixes like downloading default ringtones online, downloading apps from Windows App Store to change Windows 10 ringtones and uploading music files from computers to set them up as Windows 10 ringtones. Just beneath, are many totally not associated web sites to ours, even so, they’re surely really worth going over. Every after inside a while we choose blogs that we study. Listed below are the most up-to-date web-sites that we decide on. PokeSniper APK – Download PokeSniper APK for Android, PC, iPhone! A Blog that deals with everything that comes to the fore with respect to Internet, Tech, Gadgets, Innovations, etc. Copyright © 2017 · Tech UnWrapped · All the content is copyrighted to the owner of the website and must not be reproduced without permission.